Super Sleepers or Dangerously Drowsy? Most people could benefit from a few extra hours of sleep every night. But some people habitually sleep much less than the recommended amount, yet report feeling no ill effects. A new University of Utah study, published Sept. 15 in Brain and Behavior, finds that patterns of neural connections in the brains of so-called “habitual short sleepers” suggest that some of these people may be efficient sleepers, but may also be more tired than they realize. Some of the leading hypotheses hold that sleep clears the brain of compounds accumulated throughout the day, and allows memories to move from short-term to long-term memory storage. For most people, getting less than the recommended seven to nine hours of sleep a night results in fatigue, irritability and some impairment in judgment and reasoning. Long-term short sleep duration has been linked to a host of mental and physical health consequences, including diminished cognitive performance, mood disturbance, obesity, coronary disease and all-cause mortality risk. But some people who get less than six hours of sleep a night report feeling no ill effects. 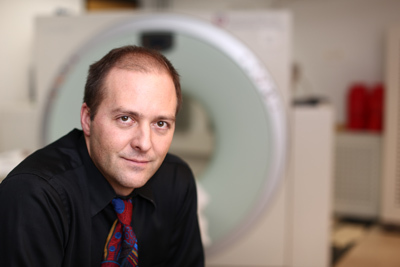 In 2009, University of Utah neurologist Christopher Jones and colleagues found a rare genetic mutation that was associated with short-duration, efficient sleep. Many genetic factors are involved in sleep, and a combination of such factors may lead some people to feel that they need less sleep than others. The set of brain connections, also called the “connectome” is currently being explored with the Human Connectome Project, a multiuniversity consortium analyzing the network of connections in 1,200 people through MRI scans. So far, data from about 900 people have been released, allowing researchers like those at the University of Utah access to a large dataset of brain connectivity. The team compared data from people who reported a normal amount of sleep in the past month with those who reported sleeping six hours or less a night. They further divided the short sleepers into two groups: Those who reported daytime dysfunction, such as feeling too drowsy to perform common tasks or keeping up enthusiasm, and those who reported feeling fine. Both groups of short sleepers exhibited connectivity patterns more typical of sleep than wakefulness while in the MRI scanner. Anderson says that although people are instructed to stay awake while in the scanner, some short sleepers may have briefly drifted off, even those who denied dysfunction. “People are notoriously poor at knowing whether they’ve fallen asleep for a minute or two,” he says. For the short sleepers who deny dysfunction, one hypothesis is that their wake-up brain systems are perpetually in over-drive. “This leaves open the possibility that, in a boring fMRI scanner they have nothing to do to keep them awake and thus fall asleep,” says Jones. This hypothesis has public safety implications, according to Curtis. “Other boring situations, like driving an automobile at night without adequate visual or auditory stimulation, may also put short sleepers at risk of drowsiness or even falling asleep behind the wheel,” he says. Looking specifically at differences in connectivity between brain regions, the researchers found that short sleepers who denied dysfunction showed enhanced connectivity between sensory cortices, which process external sensory information, and the hippocampus, a region associated with memory. “That’s tantalizing because it suggests that maybe one of the things the short sleepers are doing in the scanner is performing memory consolidation more efficiently than non-short sleepers,” Anderson says. In other words, some short sleepers may be able to perform sleep-like memory consolidation and brain tasks throughout the day, reducing their need for sleep at night. Or they may be falling asleep during the day under low-stimulation conditions, often without realizing it. The next phase of the team’s research, to be conducted at the University of Utah, will directly test whether short sleepers who deny dysfunction are actually doing fine. “Most people who are deprived of sleep show cognitive impairment similar to being intoxicated,” Williams says. However, prior research has largely involved experimental sleep restriction of normal sleepers. 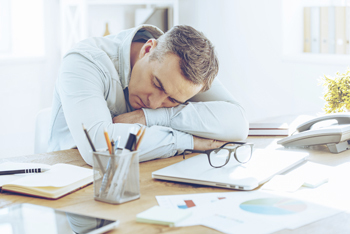 The researchers plan to recruit individuals who naturally sleep less than six hours a night, regardless of whether it is the weekend, workday or vacation. In addition to brain imaging, they will examine cognitive performance, including driving simulator testing, to get objective information about functioning. Getting insufficient sleep may affect people’s perception of their own dysfunction, Williams says. “We are particularly interested in understanding the discrepancy between people’s perception of their functioning and how they’re actually functioning. Not everyone is equally accurate.” The team’s future work will also incorporate reports by the study subjects’ family members or partners, to provide an additional evaluation of daytime function.